Canadian cybersecurity is getting an upgrade. The Canadian government will release details of its federal budget this coming week, and local news outlets are reporting it will include a $1 billion cybersecurity fund. According to CBC News, federal government agencies requested the funding to bolster Canada’s cybersecurity infrastructure, as multiple departments are facing growing cybercrime issues. 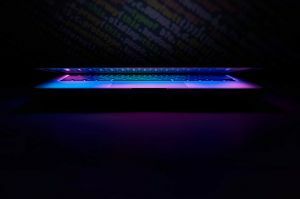 A bulk of the funding will be a much-needed supplement to Canada’s 2010 National Cyber Security Strategy — although the revised plan would not be included in the budget. The revised plan is expected to come out later this year from Public Safety Canada. The proposed budget would finance a number of efforts to combat cybercrime in the country, which could include training the next-generation of so-called cyber-professionals and encouraging them to apply their craft in Canada. The money would also likely be used to strengthen the military’s cybersecurity capabilities by outsourcing the expertise needed from local private companies. The idea is to keep the pool of cyber-security warriors trained in and working for Canada. Many experts also see the budget translating to funding cyber “co-development” projects between the government and the private sector. Cybersecurity in Canada would be provided for by Canadian information and technology companies, which in turn would work with the federal government to develop both hardware and software solutions. Experts in the field have also noted that they’re looking forward to the revised plan outlining a national data strategy that would cover both private citizens and corporations. At the same time, several anonymous sources told CBC News the federal government may also intend to secure separate funding to help protect the 2019 national elections from foreign interference. Such action would not be unexpected in light of what happened during the United States’ 2016 Presidential Elections. Canada’s decision to bolster cybersecurity is timely: cyber crimes have become prolific over the past two to three years. That said, without a concrete plan in place, attempting to put a stop to every cyber attack is a waste of money and other resources. Setting aside a budget is just the first step. As United Nations Secretary-General Antonio Guterres said in a February 19 speech at the University of Lisbon, nations should start having clear rules — international rules, even — to protect citizens from cyber crimes.